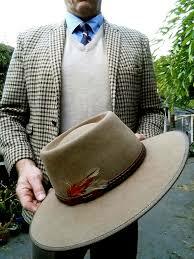 Tweed: a wool textile woven with a soft open weave and the subject of this week’s Clothing Press. Harris Tweed, in particular, is a special variety that has all the best aspects of clothing — an interesting history rooted in function and tradition, sustainably made by skilled artisans and a cool look for all. patch of farmland, the weaver’s hand was displayed through intricate patterns and an eye for detail. Weavers from these islands garnered a reputation for their exquisite cloth, and this reputation brought them to the world stage in the 1840s, when Clò-Mòr, translating to “Big Cloth” in Gaelic, became Harris Tweed. The Countess of Dunmore ordered local weavers to replicate her family’s tartan in the traditional cloth. The countess saw potential in the cloth expanding out of the Scottish Isles and championed its growth by marketing it among her fellow affluents under the name Harris Tweed, in honor of her family’s propriety of the North Harris Estate. After being advertised to the wealthy, Harris Tweed became seen as a luxury cloth sought across the United Kingdom. Imitators of the cloth began to sprout in the late 19th century, and its standards became hard to regulate. To combat growing threats to the Harris Tweed name, The Harris Tweed Association Limited was established in 1909. The purpose of this company was to establish buyer confidence by regulating and inspecting every yard of Harris Tweed before stamping it with their trademark Harris Tweed Orb and Maltese Cross. 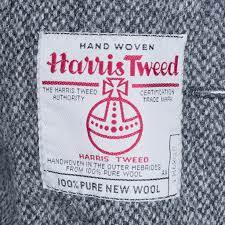 At this time, all yarn in Harris Tweed had to be hand-spun by Scottish islanders to receive the coveted logo, but this changed in 1934 when the trademark definition expanded to allow mill-spun yarn, causing a significant increase in production. Production peaked in 1966 at 7.6 million yards of Harris Tweed. In 1993, the British Parliament passed an act in order to protect the historical trademark by replacing The Harris Tweed Association with a new public law body, Harris Tweed Authority. The manufacturing of Harris Tweed begins with gathering virgin wool, wool from a lamb’s first shearing, mostly from the Scottish mainland. This wool is dyed and then spun. Since the wool is dyed first, a variety of colors can be blended together to create uniquely colored yarns. Mechanical rollers mix the fibres before separating the yarn to be spun. After the yarn is spun, the warp — vertical threads, and weft — horizontal threads, are delivered to the weavers who hand-weave the tweed in their home. These weavers are skilled artisans who know all of the details of their looms, allowing them to create some of the best textiles. 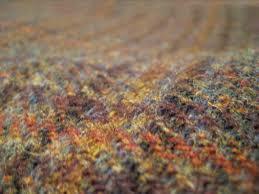 Woven tweed is sent to mills where it is cleaned of all impurities, such as oil and dirt, and any flaws are corrected. In the final step, the Harris Tweed Authority examines the tweed before their Orb trademark is ironed on the reverse of the fabric. The tweed is now officially part of the longstanding culture and history of Harris Tweed. Since it comes in countless unique patterns, you’re bound to find a Harris Tweed garment that will add warmth, texture and originality to your closet. I recently found a Harris Tweed black and white herringbone sport coat from the Goodwill on Commonwealth Avenue. It’s a beauty. When I put that sport coat on, I wear more than a garment. I wear a symbol of respect and appreciation for something threatened today by automation — the skilled artisans who put time, effort and care into the clothes on my back. My go-to place to shop for Harris Tweed is thrift stores because you can find luxury tweed for the best price. Because of the cloth’s artisan craftsmanship, garments made from Harris Tweed will last. This means that you can find a nice selection at thrift stores in good condition. All you have to do to identify Harris Tweed is look for the Orb trademark, ensuring that the garment is made from the from finest tweed in Scotland. If you don’t have any luck thrifting, your next best bet would be somewhere such as Brooks Brothers that has a history of supplying classic styles.